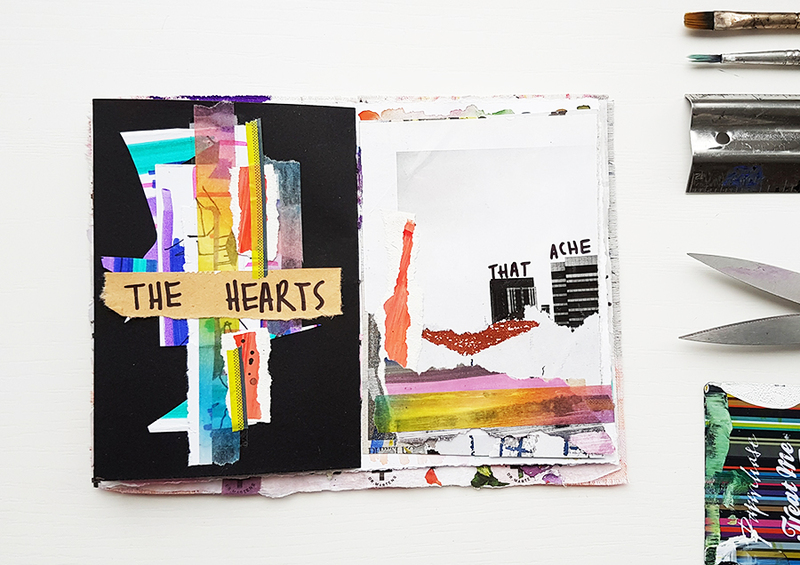 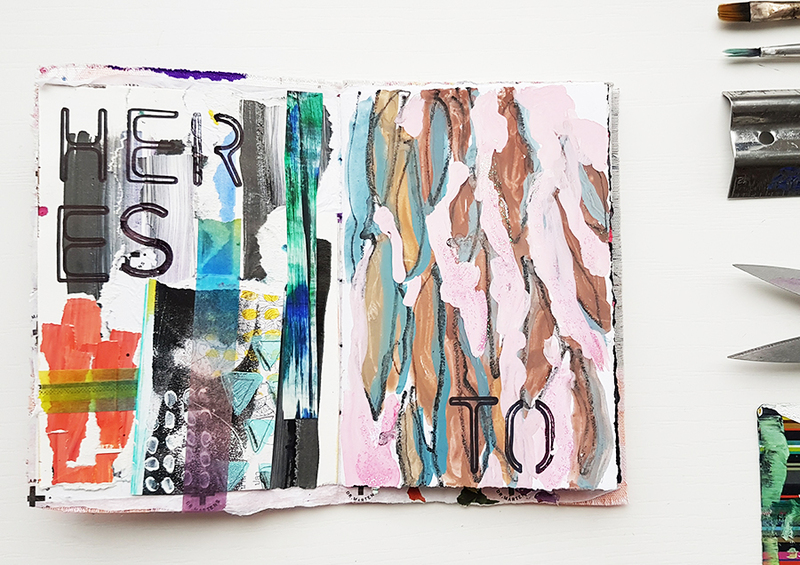 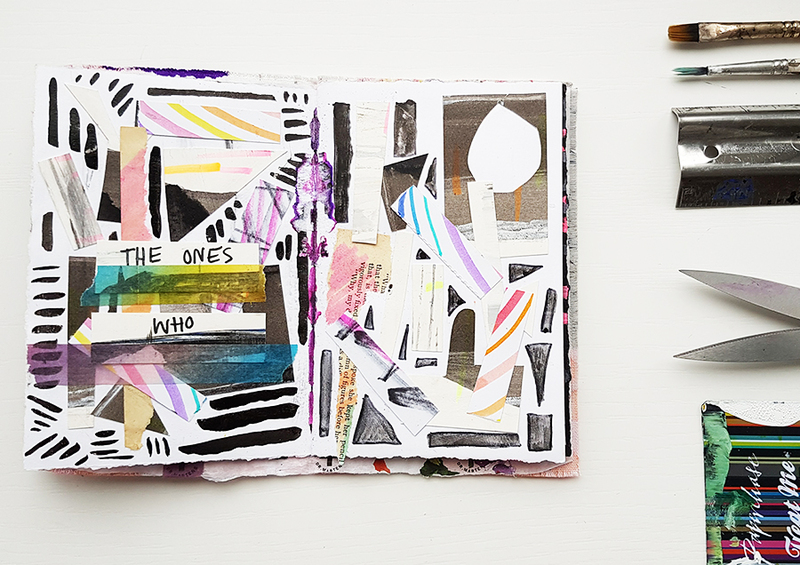 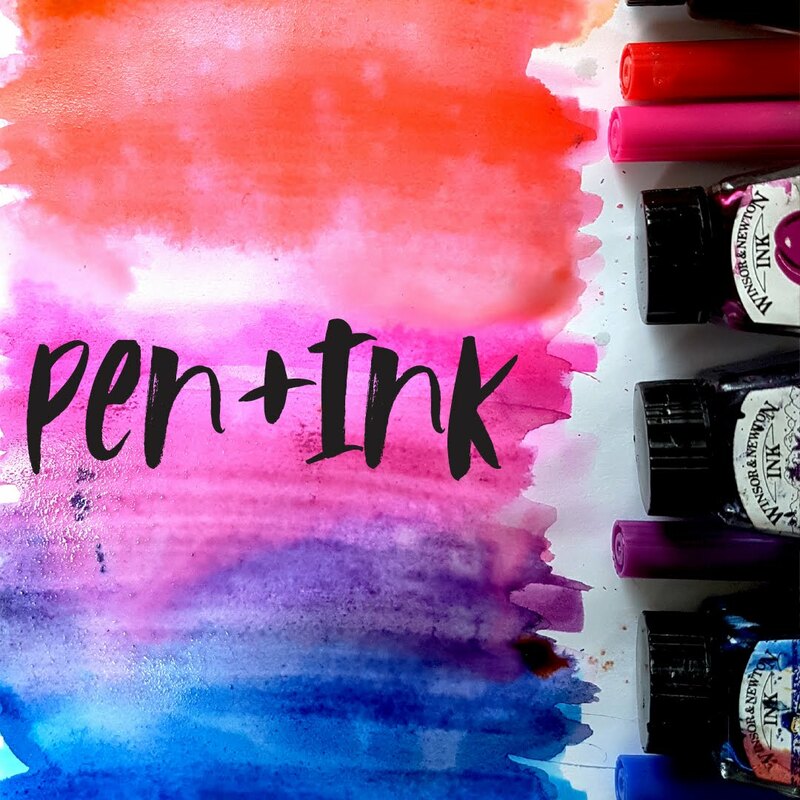 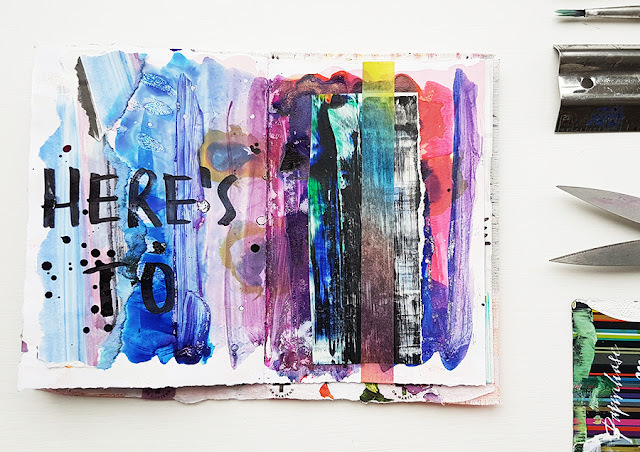 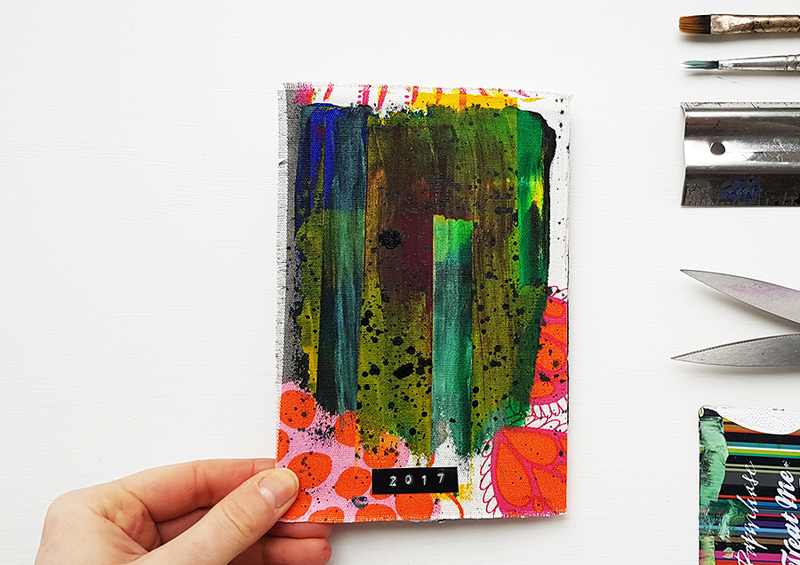 At the beginning of this year, Kate and I worked on a collaborative art journal. 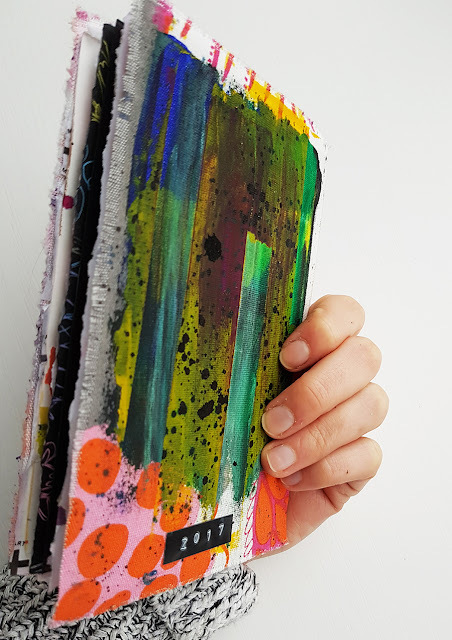 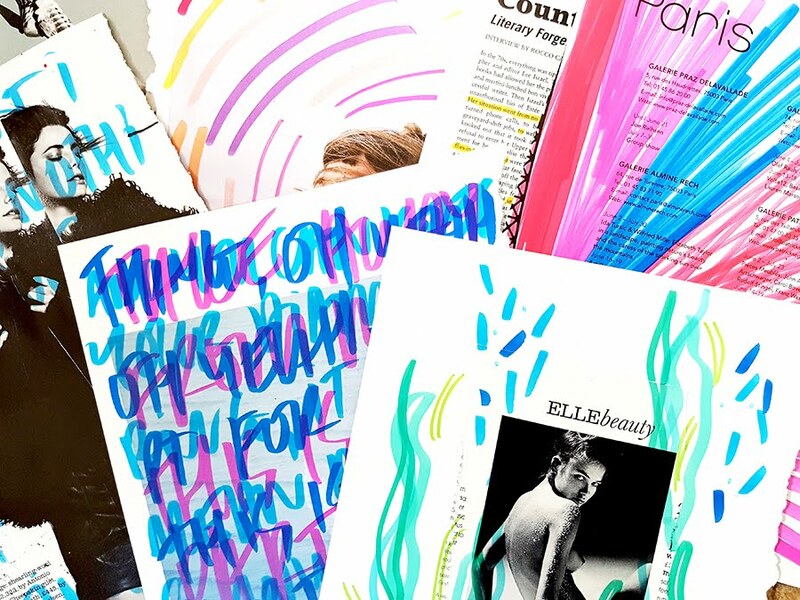 I was so happy to embark on this joint journal as I have been obsessing over Kate's abstract style for years now. 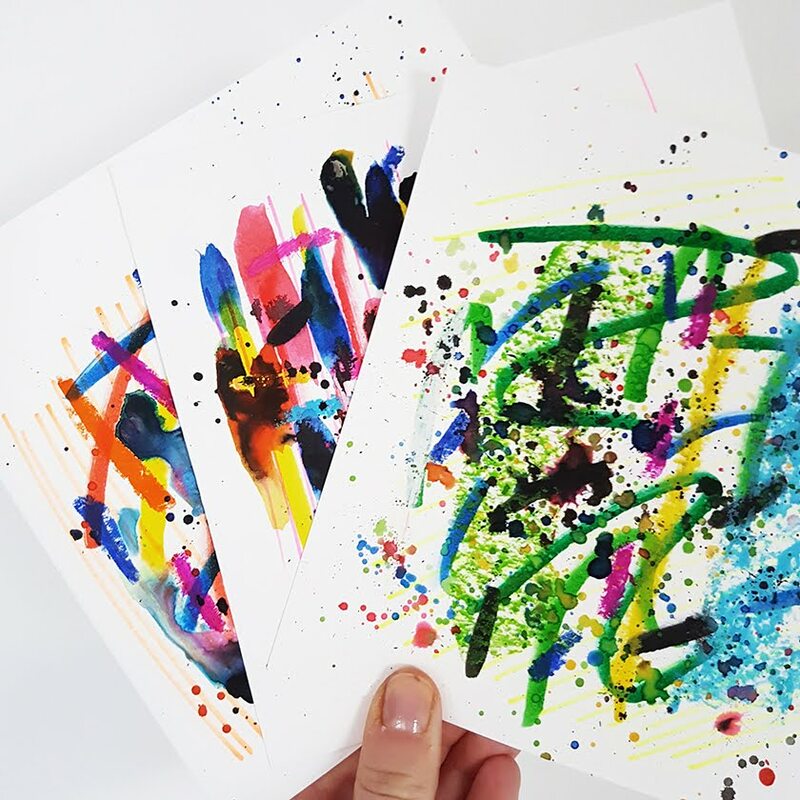 She is one of my favourite Get Messy artists and never fails to inspire me. 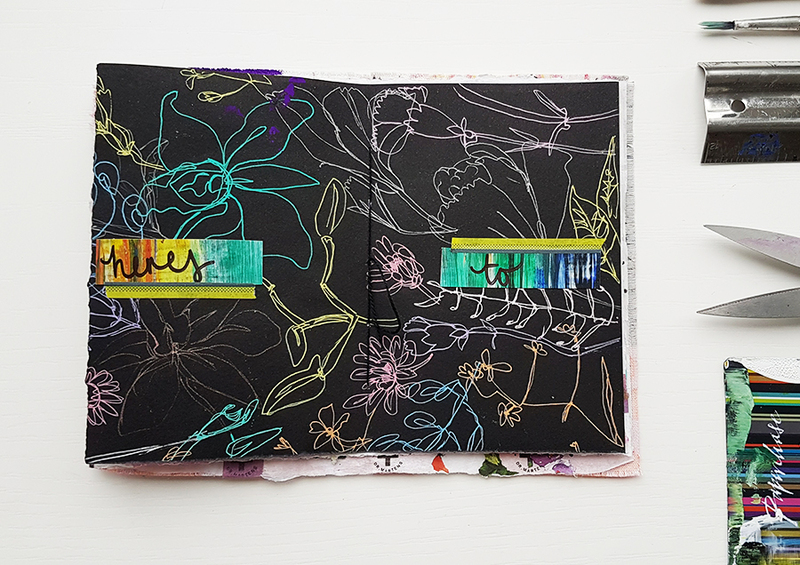 Kate started the journal, sent it to me and then I returned it to Kate in Russia. Sadly though, our journal got lost/stolen/liberated somewhere between the UK and Moscow! 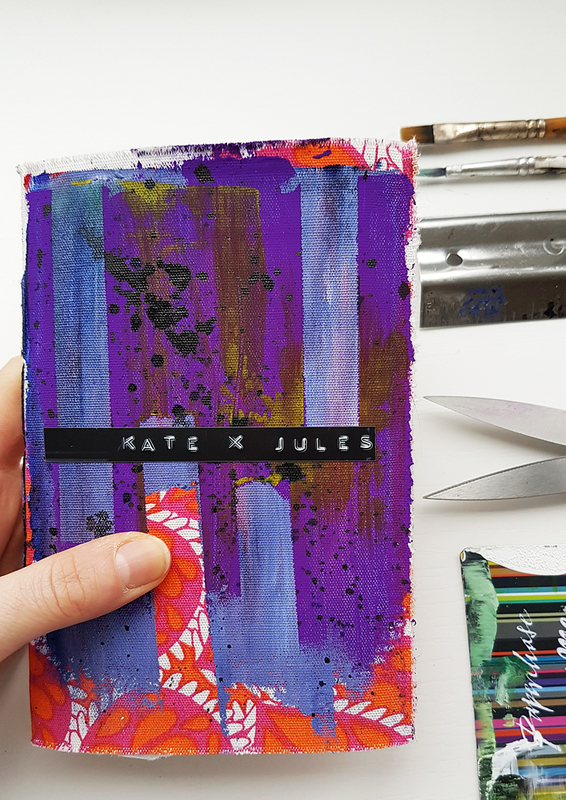 We have decided to share the finished journal anyway, even though it is MIA and Kate hasn't seen the finished thing! 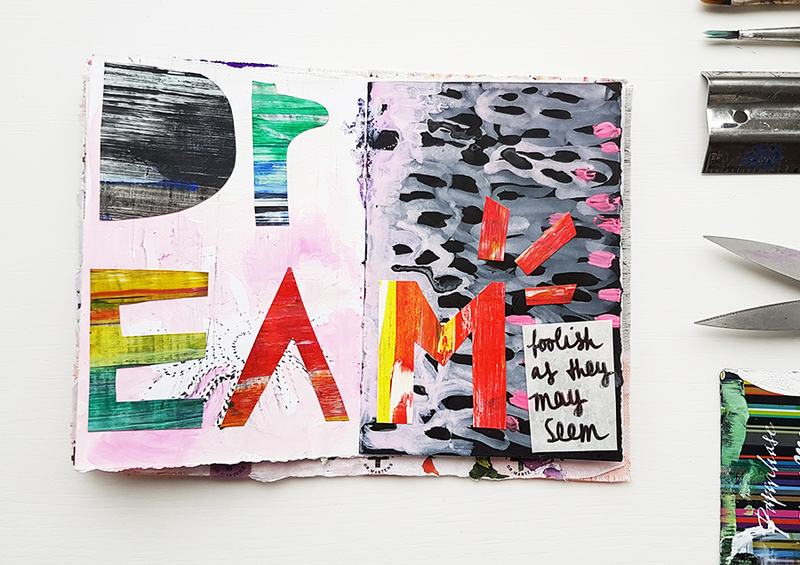 I made my pages after just watching La La Land so they are inspired by that. 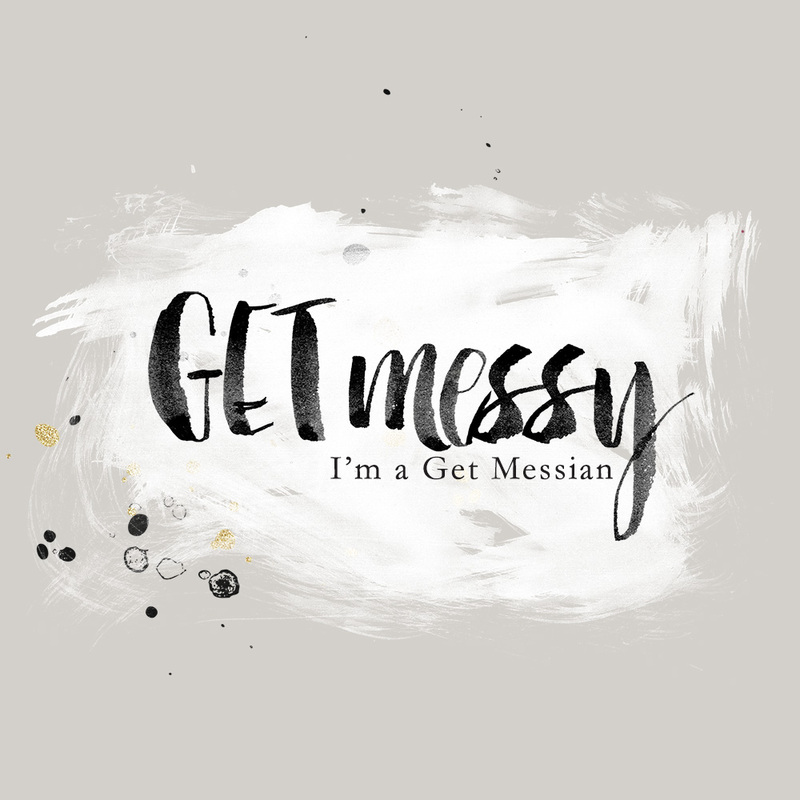 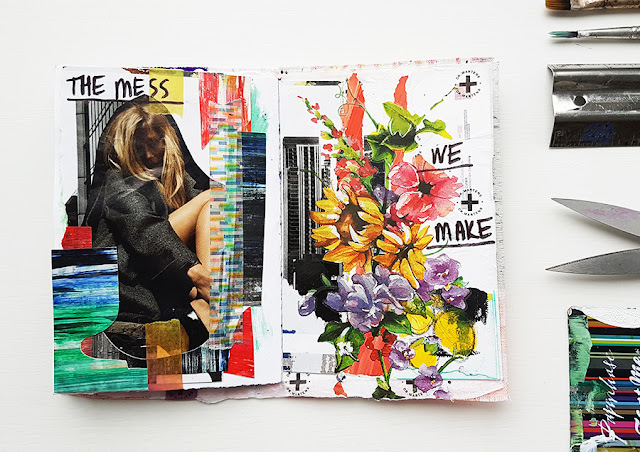 here's to the mess we make"
It was a really cool little collab and I hope you'll join me in willing it safely back to Kate at some point in the future!